Kristina Tsipouras doesn’t sit still for long. She started out as a wedding planner, then founded a Greek iced tea company. 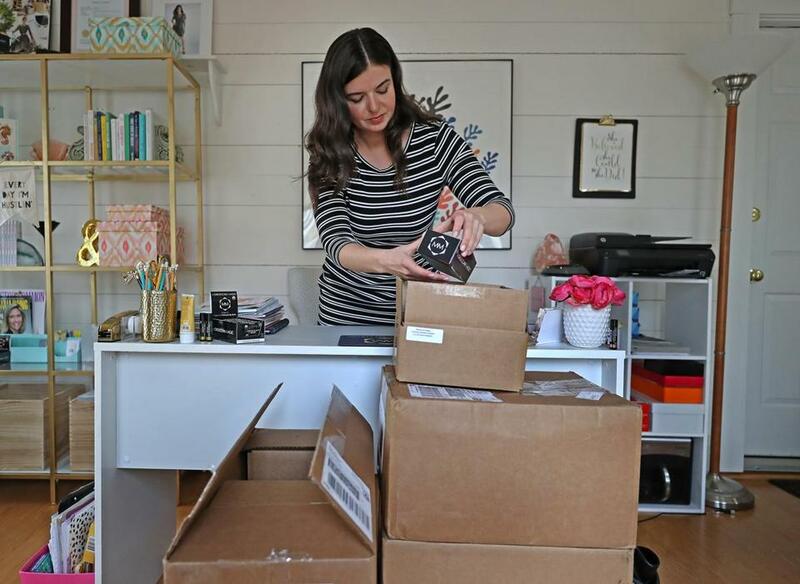 Two years ago, she launched the Boston Business Women networking group and started a line of organic lip balms, which was just picked up by CVS. She also recently self-published the appropriately titled “Busy Girl’s Guide to Happiness.” Did we mention she’s only 32? Tsipouras recently spoke with reporter Katie Johnston about her serial entrepreneur tendencies, Apple cofounder Steve Wozniak’s lip balm needs, and how she got the chief executive of the bathroom spray Poo-Pourri to be her mentor. 1. Tsipouras’ father emigrated from Greece when he was in his 20s, along with his family and a few dozen other people from his city. After settling in Dorchester and working as a waiter, he opened a dry cleaning business. Her father met his wife-to-be in a glass repair shop in Dorchester, after both of their cars were broken into. The couple eventually sold the cleaners in Dorchester, moved to Newton, and opened another dry cleaning business there. 2. After burning out as a wedding planner at the age of 25, Tsipouras spent a summer in Greece and drank a lot of the local tea, called tuvunu. She came back to Boston to launch the Greek iced tea company Zoos. It was going well, selling at stores such as Wegman’s, until she brought in a business partner and the board forced Tsipouras out. 3. Feeling a need for connection with her fellow female entrepreneurs, in 2015 Tsipouras started a Facebook networking and support group called Boston Business Women. It now has more than 8,700 members from all backgrounds and industries. 4. Boston Business Women is holding its second annual conference May 17. There is no Arianna Huffington-level celebrity this year, but there is Suzy Batiz, who overcame an abusive marriage and two bankruptcies to form Poo-Pourri, a $300 million bathroom spray company with unusually explicit advertising. 5. Moroccan Magic, Tsipouras’ organic lip balm line made with cold-pressed argan oil, started selling nationwide in March in more than 1,000 CVS stores. Tsipouras says she is meeting with another big national retailer soon.